Yesterday, we showed you a teaser posted by OnePlus India for the OnePlus X. Today, a new teaser has gone up with the words "See you October 29" on top. This obviously is a reference to the date when the OnePlus X will be unveiled in India. The image in the teaser is just a large "X," which pretty much makes the message obvious. The OnePlus X has been characterized by co-founder Carl Pei, as a device for those who care more about design than specs. This apparently will be one handset that favors form over function. We expect the unit to feature a 5-inch screen, and carry a 1080 x 1920 resolution. That works out to a pixel density of 441ppi. Under the hood we might find the MediaTek 6795 SoC, along with its octa-core CPU. Another possibility is the graybeard Snapdragon 801 chipset, which features a quad-core CPU. 3GB of RAM is inside, along with a 2450mAh cell. The rear-facing camera is expected to be 13MP, with an 8MP snapper up front to shoot selfies and handle video chats. The OnePlus 2 didn't have NFC, but the OnePlus X will, according to earlier leaks. And the phone does support 4G LTE connectivity. No word yet on availability. Some earlier rumors had the phone priced in the vicinity of $249 USD. 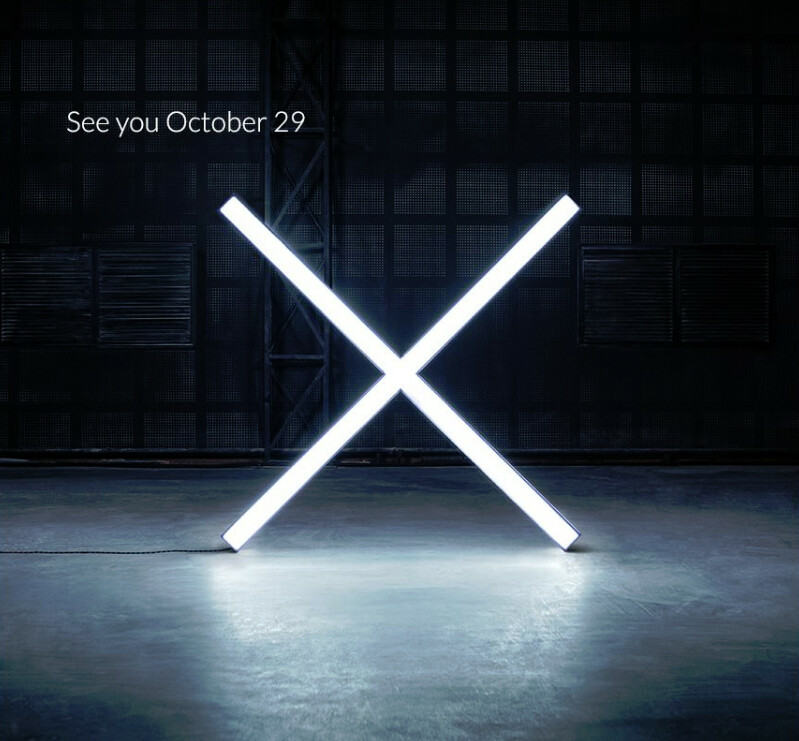 We will find out all of the pertinent information when the OnePlus X is officially introduced to the world, and that looks like it will happen on October 29th. Its not just India! The launch is in six different cities worldwide on Oct 29... Beijing, London, New York, San Francisco, New Delhi and Jakarta! From the Gizmochina post, it looks like they have released an X themed teaser for every city. Only if they released this with Snapdragon 620... that would've been my secondary phone. Not interested in this Z series knockoff. It'll have bad battery life due to unoptimized software and that Mediatek SoC. I will never buy a phone with a Mediatek SoC, exynos maybe, Intel perhaps, qualcomm yes.